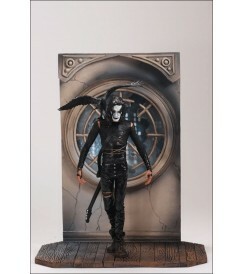 The Crow, creator James O'Barr's revenge-seeking gothic hero from comic books, novels and film, was one of the most popular characters in the second line of Movie Maniacs action figures from McFarlane Toys. Now he's being re-released with an entirely new diorama and packaged in a collector's fish tank. 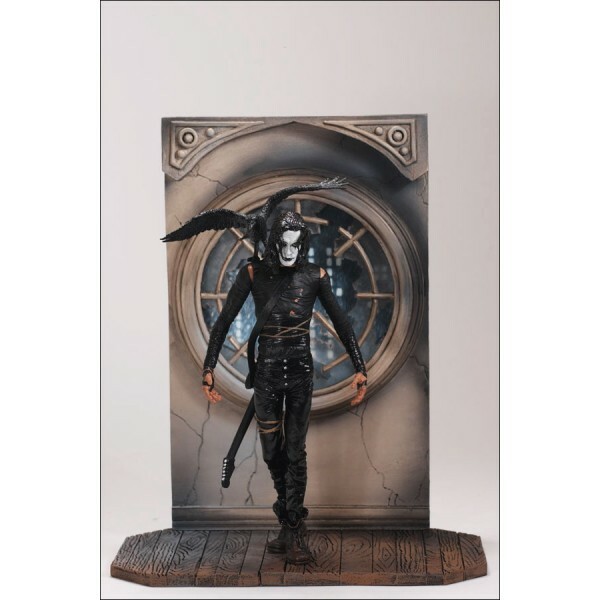 The Crow is 6 3/4 inches (17.15cm) tall with seven points of articulation and comes with a companion crow that perches on his shoulder and a guitar.